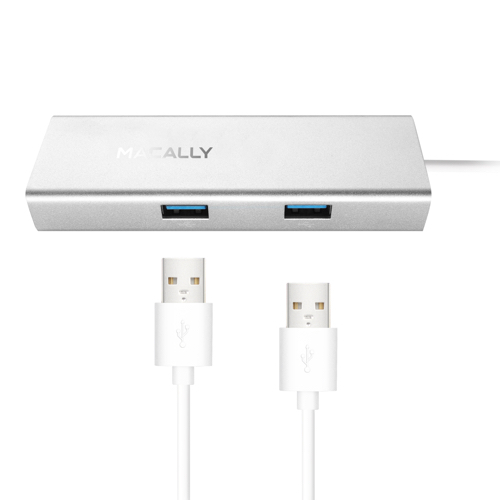 The Macally UCDOCK is an aluminium USB-C mini hub that adds two USB-A 3.0 ports, two USB-C ports, one Gigabit Ethernet port and one HDMI port to your MacBook, MacBoook Pro and any other computer with USB-C (Thunderbolt) ports. The 2 USB-A 3.0 ports allow you to continue to use your existing USB-A devices, like your keyboard, mouse, HDD, printer, scanner, tablet, smartphone, etc. 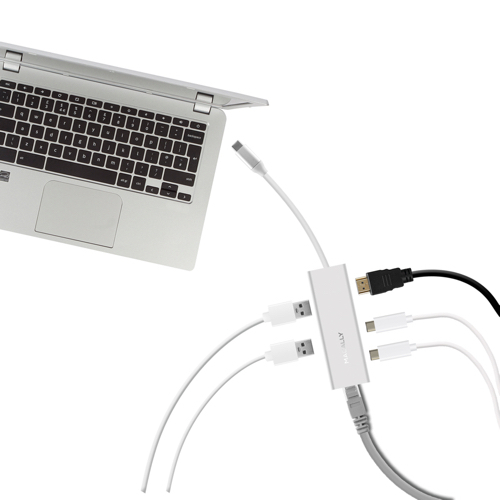 with your new MacBook, MacBook Pro and any computer with USB-C ports only. 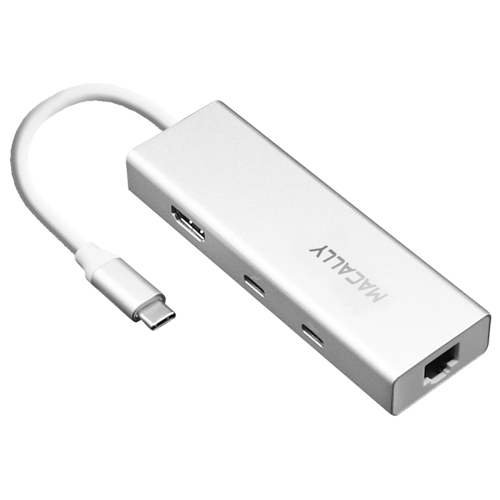 One USB-C port allows you to connect your USB-C devices, like your HDD, for fast data transfer (up to 5 Gbps) and another USB-C port to quickly charge your MacBook/MacBook Pro (Power Delivery up to 100W). 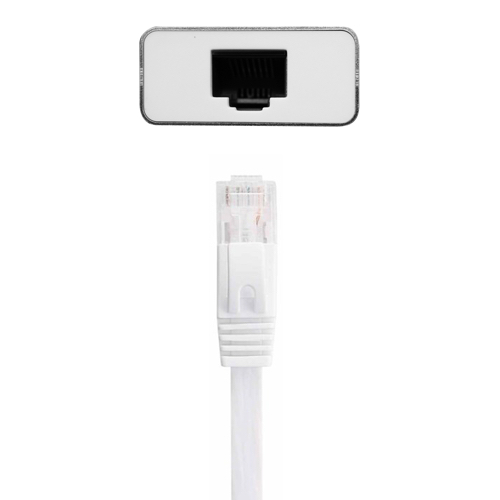 The Gigabit Ethernet port allows you to connect your computer to a wired Gigabit Ethernet network for fast and stable connection speeds at 10/100/1000Mbps. This is ideal when you to stream high definition videos or upload/download large files. 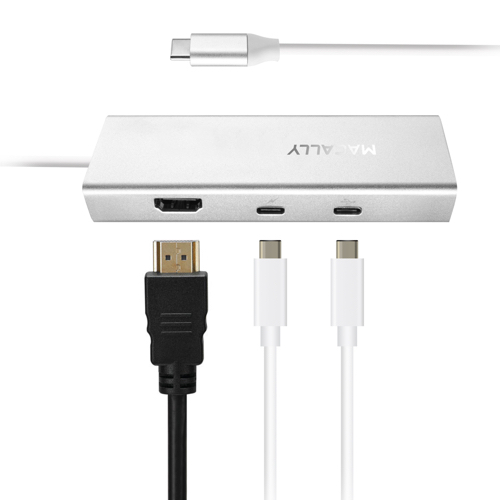 The HDMI port allows you to connect your MacBook/MacBook Pro to any HD TV and Ultra HD TV, monitor and projector with HDMI input for the best video and audio quality! This port supports up to 4K resolution display at 30Hz and digital multichannel audio for a crisp and clean sound. 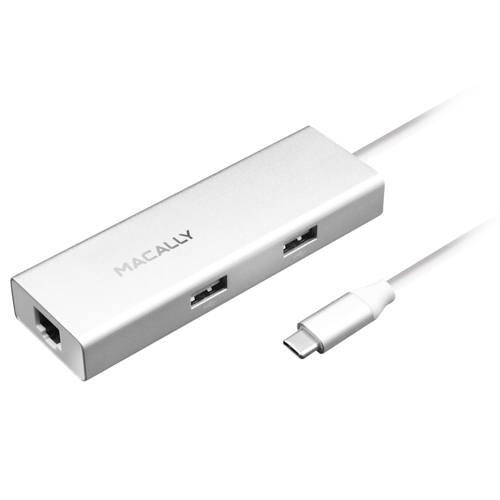 Thanks to all these features and the stylish aluminium and compact design with built-in cable, the Macally UCDOCK is the perfect match for your MacBook, MacBook Pro and of course any other computer with USB-C (Thunderbolt) ports. 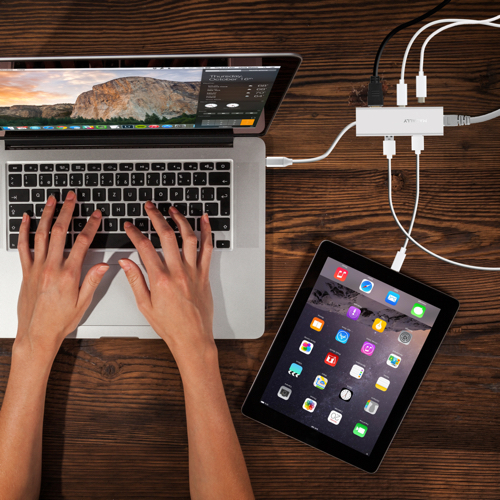 * We recommend using your original manufacturer charger adapters and cables to charge via the Type-C port.